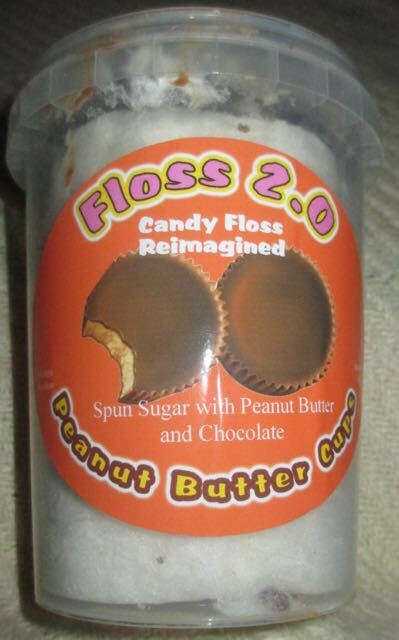 When CyberCandy got in touch and said they had invented Candy Floss 2.0 I wasn't really sure what to think. Evolved Candy Floss, or Candy Floss at the next level just seemed a bit of a strange idea. I've already had various coloured and flavoured Candy Floss products, but I said I’d happily give it a try. When the post man dutifully dropped off my parcel I have to admit to being more than a bit excited. 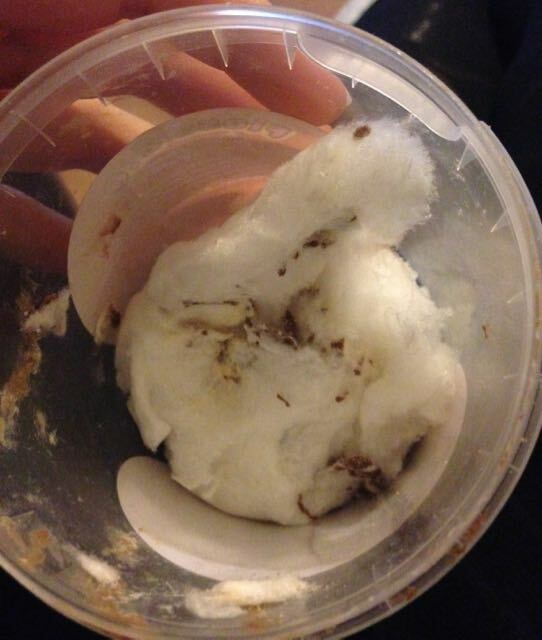 One of the new Candy Floss 2.0 versions was Peanut Butter Cups, I hastily opened up the tub. Why does Candy Floss only come in tubs or bags these days? Is it a health and safety thing, that they stopped spinning it around a wooden stick? Something along the lines of splinter risk? Anyway I digress, this particular product comes safely in a tub. You could see the tub was fairly firmly packed and well filled with a good occurrence of Peanut Butter Cup bits. Now as a self declared chocolate and peanut butter fan I soon found myself in heaven. The peanut cups were nicely mixed in, there was plenty of bits, some bigger than others but a generous portion. This meant that the candy floss went from two extremes, at one side lovely peanut butter and chocolate flavoured candy floss, which was a wonderfully sugary substance. Through to actually pieces of peanut butter cup covered in candy floss, again taste wise just spot on. These were like finding the treasure in the tub, and the variation in the product made it even more enjoyable. I absolutely love Candy Floss 2.0 and it is something I'll be picking up again as a treat. Candy Floss 2.0 is also available as other flavours including Lemon Sherbet and Choc Banana.